Lyn Williams&apos; exceptional skill as a director of choirs for young people has been recognised internationally for its artistic quality and innovation. She is the founder of the Sydney Children&apos;s Choir (1989), the National Children&apos;s Choirs Gondwana Voices (1997), Gondwana Chorale, Gondwana Singers and Junior Gondwana, and the Gondwana National Indigenous Children&apos;s Choir (2008). 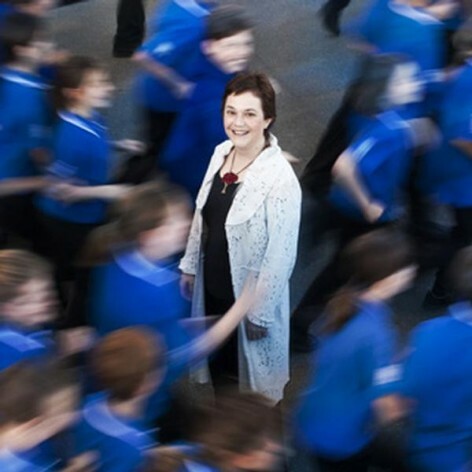 She frequently directs and conducts for major events, tours internationally with her choirs, and has conducted the Sydney, Adelaide, Melbourne Symphony Orchestras, Australian Chamber Orchestra, Australian Youth Orchestra and Sydney Philharmonia Choirs. In 2004 she was awarded a Medal of the Order of Australia in recognition of her services to the Arts. Lyn Williams is a Churchill Fellow and also an award-winning composer.